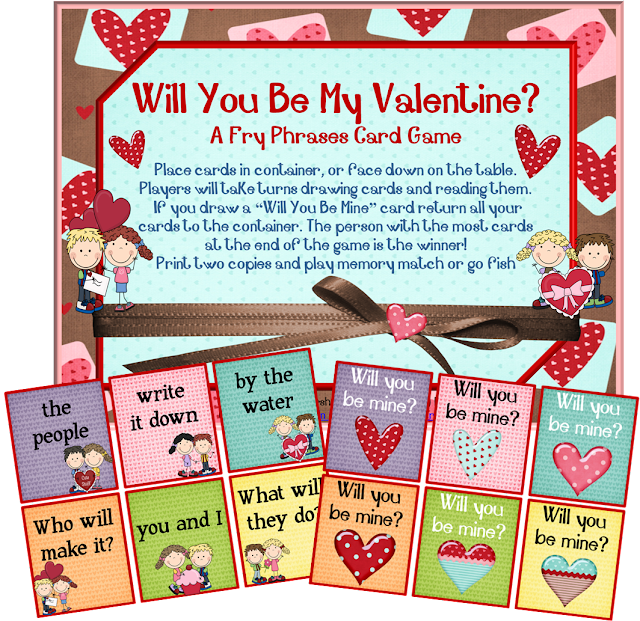 Random Classroom happenings and a Fry Phrase Freebie! - The Resourceful Room! Random Classroom happenings and a Fry Phrase Freebie! I haven't had much time to blog lately, I've been sooo busy!! Report cards went out this past week and although I had collected all the data for my IEP progress reports I spent a lot of time reorganizing it and getting it all in order to actually get the progress reports done and sent home. It took way longer then I thought it would! I am soooo glad I got it done though because next time it should be really easy!!! I didn't get a picture of the data binders I'm using so I'll have to show you more about those later. I was so fortunate to have another Donors Choose project fully funded and had a projector delivered this week. I can now use the document camera I got last year and the projector to project activities and make them more interactive. I am really anxious to get them up and running but I need to rearrange some things to make it all work! Hopefully it will be ready this coming week, and again I'll share more once it's up and running! I took the first day with each group to talk about our objectives and skill focus, then they helped create the posters that will be on display while we study that skill. We referred to it a lot this week and I am hopeful that it will be a much more functional display for us to use as the skills we are working on change for each group. My second grade group is still working on fluency this week. We have been having such a wonderful time with the activities from my January Fluency pack. They loved playing the roll a phrase game this week and practicing poetry then reading it to the class. Next week we are going to be working on the readers theaters! Hi Amy! Congrats on your projector and being able to use your document camera now. I wouldn't know what to do without mine! Your CAFE Board looks great. I have been using mine more and more (it's my first year for both D5 and CAFE). That should say your *converted* CAFE Board looks great! I love your FOCUS board - so super colorful! I tried using CAFE too and it IS hard to get it all in. And - the game cards are cute too! I love your CAFE board and Focus Wall!!!!! February Fluency Packet finally Done *Freebie!